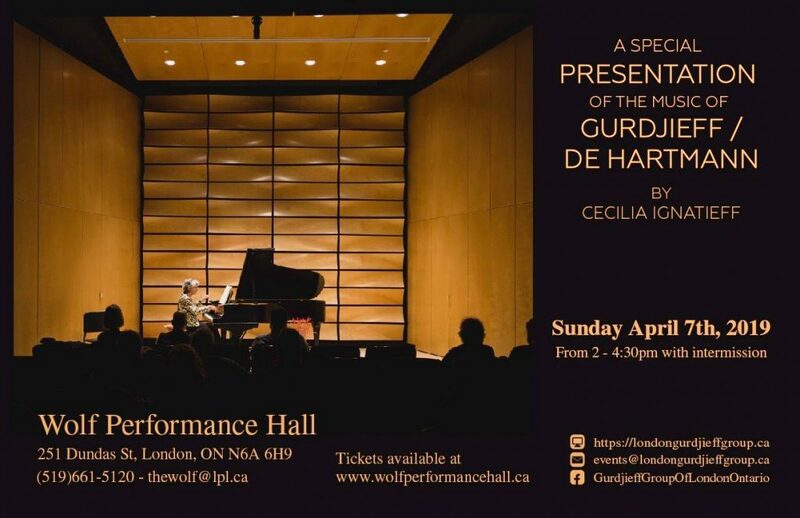 On April 7th at Wolf Performance Hall in London, Ontario, the London Gurdjieff Group will present the unique music of legendary mystic G.I. Gurdjieff and Thomas de Hartmann, featuring Cecilia Ignatieff on piano. The London Gurdjieff Group is aiming to widen the spectrum of live music in London with this presentation, featuring music evocative of the ancient folk traditions and orthodoxy of the East. Pianist Cecilia Ignatieff began her Canadian music career as a teenager, when she appeared with the Toronto Symphony Orchestra and with the Royal Conservatory Orchestra. As a recitalist, she has played at the National Gallery, the National Arts Centre, and on CBC radio. As a teacher, she has taught music at York University. George Ivanovich Gurdjieff was born in the late 1800’s in the rich multi-ethnic area of Alexandropol. Young Gurdjieff’s travels took him to sacred sites throughout Egypt, the Middle East and Asia. 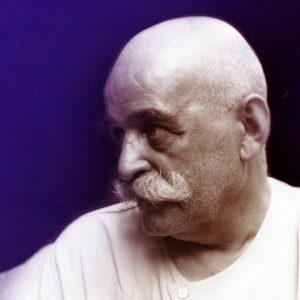 During WW1 in St. Petersburg, Russia, Gurdjieff was teaching a system he referred-to as “the work” when he took Thomas and Olga de Hartmann as pupils. Thomas, a renowned composer and officer of the Russian Army, and Olga, a renowned opera singer. Soon after, Gurdjieff and the de Hartmanns escaped Russia during the Russian Revolution, facing unimaginable dangers along the way. After settling in France, Gurdjieff and de Hartmann composed a staggering volume of music in a short period of time. The musical impressions during his travels as a young man were ingrained in Gurdjieff’s memory. With the help of de Hartman, Gurdjieff was able to transmit his musical impressions of the East to subsequent generations of people, as they say, inside and outside “the work”. Ms. Ignatieff belongs to one of the subsequent generations of Gurdjieff’s pupils involved with “the work”. The compositions Ms. Ignatieff has chosen to present at this event are considered special among the catalog of Gurdjieff / de Hartmann and come to us from Gurdjieff’s travels as a seeker.